Pinnacle Solutions, Inc., a Huntsville-based aerospace support and services company, expanded into the Middle East, Europe and Taiwan just five years ago, yet it’s already making great strides in international trade. By 2014, exports accounted for about 13 percent of the company’s sales. Export sales have continued to increase over the years, and the same is expected going forward. 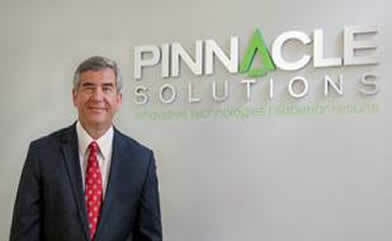 Pinnacle Solutions, a Service-Disabled, Veteran-Owned Small Business (SDVOSB), was founded in 2008 by President and CEO Michael Durant, to provide high-quality aerospace and defense training systems and services. It has established and demonstrated capabilities within these primary product and service lines: Engineering, Development and Light Manufacturing; Program, Training and Technical Support; and Integrated Product Support. Pinnacle’s main focus since inception of the company has been the U.S. Department of Defense market; however, quite early in its existence, Pinnacle began exporting both products and services. For the past 5 years, Pinnacle has been doing business internationally in the Middle East, including the United Arab Emirates’ (UAE) and Saudi Arabia; Europe (including the United Kingdom and Spain); and Taiwan. The company was chosen by one of the UAE’s most successful commercial companies in 2010 to provide professional consulting services. Pinnacle Solutions helped Mubadala Development Company run a multi-million-dollar procurement to develop and build a state-of-the-art helicopter training facility in the Middle East. International trade has also had an impact on Pinnacle Solutions’ employment. 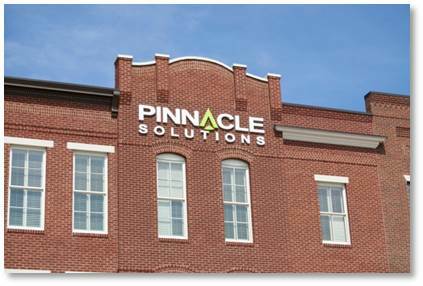 In their seven short years of operation, Pinnacle has grown from a two person company to a small business with nearly 120 employees worldwide. Seven positions are dependent upon international work, and about 11 positions have been created over the last 10 years as a result of business outside the U.S.
“We have not experienced difficulties as a result of trade barriers,” said Durant. But the trade agreements the U.S. is now negotiating with Europe and 11 countries in Asia-Pacific could possibly benefit Pinnacle’s business in those markets. According to Durant, European and Asian markets present the greatest opportunities outside the U.S. for Pinnacle Solutions. Durant went on to say, “Doing business successfully overseas involves networking and cooperating with other companies and organizations that have experts in various areas who can help us prepare for these issues before we get there. NAITA is a key partner in this process and provides Pinnacle with the knowledge, support, and access to contacts needed to help a small business avoid potential pitfalls and overcome unnecessary red tape and legal hurdles.” International business is a strategic focus for Pinnacle in the immediate future and for years to come.